Get discovered by more clients online. Use your website to share pictures of your work, give information on your services, and get more bookings. Now you can get new bookings anytime - even while you're busy working! 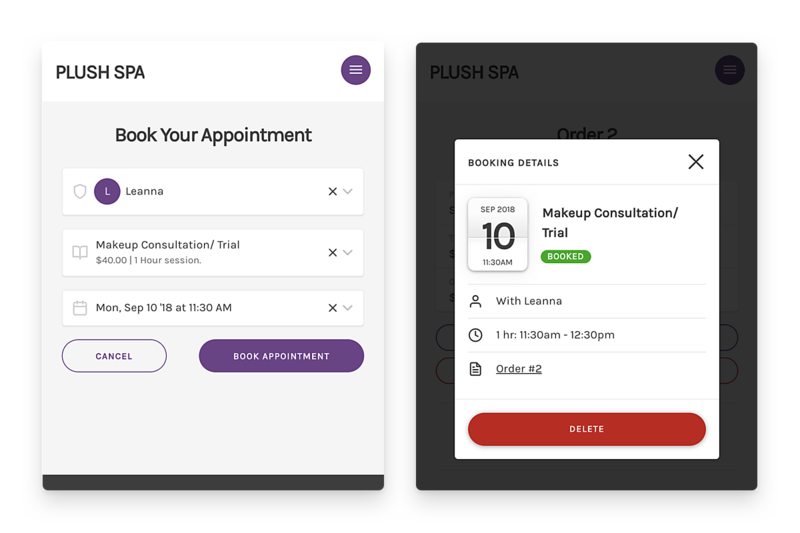 Give clients direct access to your schedule and let them book you online - at their own convenience. Stop losing time and money on missed appointments. 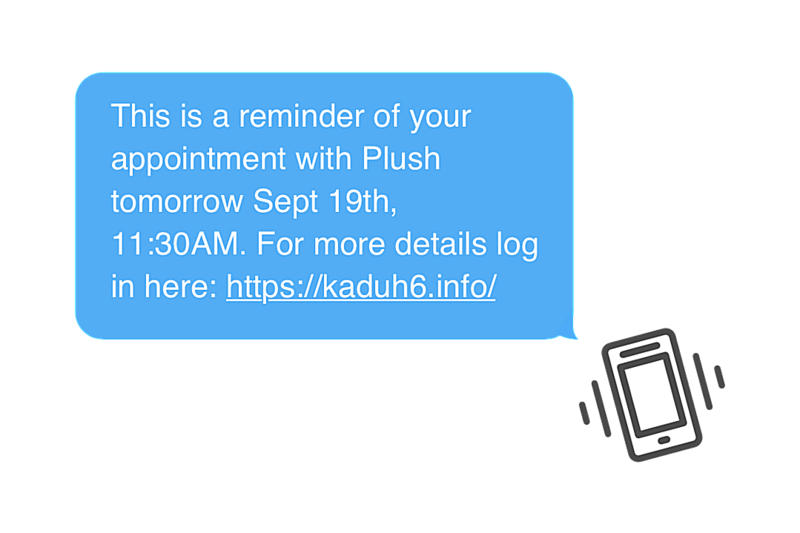 Send your clients automatic text and email reminders to help them keep their appointments. Sync your appointments and events between Google and Amidship. Let your clients book your services directly from your Facebook business page. Let clients pay you online using their PayPal account, bank account, or credit card. Accept local and international debit and credit card payments online. I was so excited about the online booking tool - it has literally helped me get so much business. All my clients say it’s very professional and easy to use! Thanks for making my job easier! More clientele book with me now. They can book directly on my website if I'm unavailable to take their call. No. All plans start with a free trial! We don't collect your credit card information until you're sure that Amidship is right for you and your business. Once you're confident Amidship is right for you, you can buy your plan of choice from within your trial account using any major credit card. We will charge your credit card monthly or yearly - depending on the billing period you choose - on the date you originally started your paid plan. Please note that there are no setup fees or additional charges. What's the difference between each plan? We're proud to offer you all our advertised features, regardless of the plan you choose. Our plans are designed with the size of your business in mind. If you're just starting your business and need to get it up and running, the Self-Employed plan is probably best for you. As your team grows, you offer more types of services, or you open new business locations, you'll naturally grow into the Small Business, Enterprise, or Marketplace plans. Custom domains allow you to have your Amidship website without showing amidship.com in the URL. For example, if your website domain is Amber.com then users could fully browse your website, book your services, and track their orders on Amber.com. Is Amidship safe and secure? Great question! You and your clients' data is always safe with Amidship. Credit card payments are facilitated through our integrations with Stripe and PayPal to ensure high privacy and security for your clients. Both of these companies are highly regulated, secure, and compliant with the Payment Card Industry (PCI) Data Security Standards. Should you choose to process credit card payments, your clients' information will be securely processed and stored on their end. Any other information stored on our end is encrypted and stored securely on our servers. This information accessible by the admin or owner of the account. What if I run multiple businesses? No problem at all! Amidship supports adding more than one business under the same account. Each business will remain completely separate from the rest, with a separate website and admin setup. However, please note that you will need to purchase a separate plan for each of your businesses. If you choose to process online credit card payments with Amidship, there will be standard fees associated with each transaction. For any Stripe or PayPal payments, a fee of 2.9% + 30¢ per transaction applies. Please note that these fees are standard and not associated with our plans. Yes. We offer discounts to business owners who choose to pay for Amidship annually. This option will be available after your free trial has ended, once you select a plan that works for you and your business. Our team is available to answer any questions you might have and help you decide whether Amidship is right for you. Visit our Support Center or Contact Us directly for help. Start growing your business in just a few clicks. NO commitment. NO fees. NO credit card. Amidship is an online platform for service professionals. 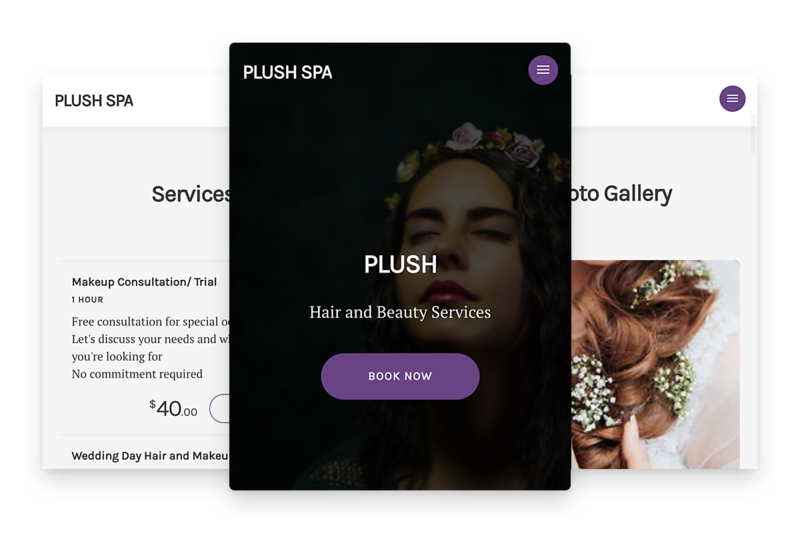 It’s a tool that helps you sell your services online, optimize your time, and connect with your customers. ©2019 Amidship Inc. All rights reserved.